Divorce mediation has quickly become a popular way for parties to divorce - and not just because it offers a more cost-effective way to dissolve a marriage. Mediation also encourages cooperation and compromise between the divorcing parties, which can help to improve the overall outcome for divorcing parents, older divorcing couples splitting a retirement, and couples with a high net worth marriage. Still, divorcing parties often feel more at ease when they know what to expect from the divorce mediation process. 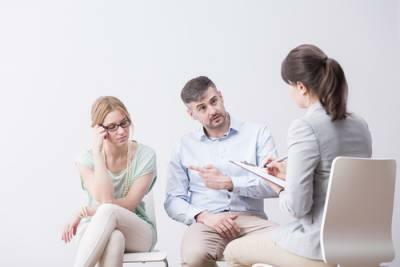 Learn more in the following sections, which address some of the most frequently asked questions about divorce mediation in Illinois. Before mediation, divorcing parties were pitted against one another and placed on opposite sides in court litigation. Sadly, this led to many poor outcomes, especially for children. Mediation works differently. It encourages the parties to compromise and come to an agreement that works for all involved parties (parents, children, and even pets). Parties who successfully reach an agreement can avoid court proceedings altogether, but if an agreement cannot be made, the parties may still address their issues in court and allow a judge to decide on the matters that are pertinent or problematic in their divorce. Are There Any Benefits to Choosing Mediation Over Litigation? Mediation is often chosen by divorcing couples because it offers them a way to end their marriage faster, and more amicably. As a result, they are better able to preserve their wealth. Children are also less likely to suffer maladjustment when their parents go through a divorce, especially when parents strive for amicable proceedings and an agreement that allows the child ample time and support from each of their parents. Agreements can also be more flexible for those that go through mediation. Parents, retiring divorcees, and even high net worth individuals often find this to be a benefit in their Illinois divorce cases. Even though holiday plans can (and often do) change, it is important for your family to start with a framework. It can give you guidance and allow you to block out time more efficiently. When events conflict, work hard to come up with a compromise. Realize that, above all else, what everyone truly wants is for the children to enjoy the holiday season as much as possible. 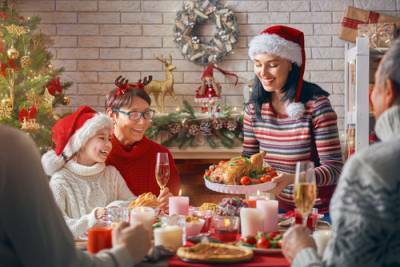 Family times, such as when grandparents are in town, are good to prioritize, as are any holiday traditions that can still be carried out, even after the massive changes of divorce (i.e. purchasing a living tree and then planting it at the end of the season). While many studies have indicated that children can recover from the emotional turmoil of a divorce (and may, in some situations, fare better in divorce than if their parents stayed together), they are still vulnerable and innocent parties who can be significantly and negatively impacted by the process. As such, parents are encouraged to make every reasonable effort to mitigate the risk of divorce-related maladjustment in their child. One of the more effective ways to do this is through communication - and not just about the divorce itself, but also the feelings that children are likely to experience as they adjust to the changes of their new life. Divorcing parents were once led to believe that children were “resilient” enough to withstand the emotional turmoil of divorce without any long-term, negative effects, but more recent data disproves this outdated theory. Children can experience maladjustment issues from a divorce, even if they do not display any immediate signs or symptoms. That is because, like adults, children can experience the complexity of grief, loss, pain, stress, and even self-blame during the divorce process. If not addressed appropriately, those feelings can simmer below the surface, only to emerge at a later date - and often at a time when the parent least expects it. Children, though fairly resilient, need to be protected from the potential ill effects of divorce - particularly those that can negatively impact their mental or emotional well-being. Ensuring that the interactions between you and your spouse (including those that take place over the phone or through email) are amicable is a great way to start, but it may still be necessary to use other mitigating tactics as well. For example, you may want to attend a parenting course that is specifically designed for families impacted by divorce, or you may opt to enroll your child in a peer support group or therapy to ensure they have a private space to talk about their feelings. 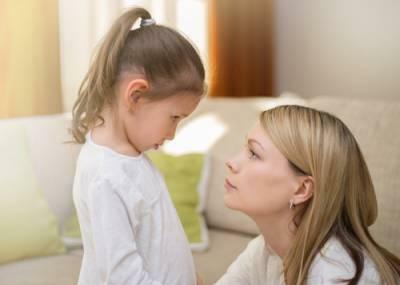 Just remember, even if you seek outside help for your child, it is still recommended that you address grief and pain with your child, directly, as they may need your support while trying to cope. During a meeting with her husband to sign paperwork for their divorce, he allegedly handed her a drugged cup of coffee. While it took her a while to realize that something was “off,” she ultimately discovered that she had been drugged after taking an over-the-counter drug test. At that time, she also realized that their 3-month-old baby had been breastfed three times since consuming the coffee. She voluntarily took the baby to the hospital to ensure its safety, and she reported the incident to the police. The woman then pressed criminal charges and sought a restraining order against her husband to ensure the future safety or herself and her child.